I am tired, sun-burnt and pretty darn happy. Feeling grateful for the chance to be on Oahu for the week before my second Olukai Ho’olaule’a. Feeling jazzed that flying from Oregon to Honolulu with our Naish ONEs in a duffel with some clothes and a KIALOA paddle bag with 4 paddles was a breeze! 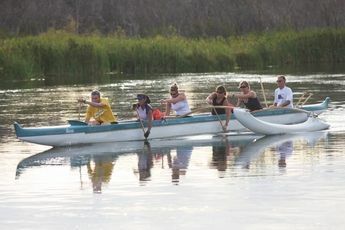 A few weeks ago I had my 4th Bend Oregon Outrigger Canoe Club practice. On this cold, rainy, windy (typical April) evening I was assigned seat 5 just ahead of the steersman, in seat 6, Meg Chun. Lucky (but tentative) me. I have been standup paddling for 6+ years and have had some success – which Meg was aware of – and now I would be paddling for 90 minutes right under her watchful (and quite expert) eye. 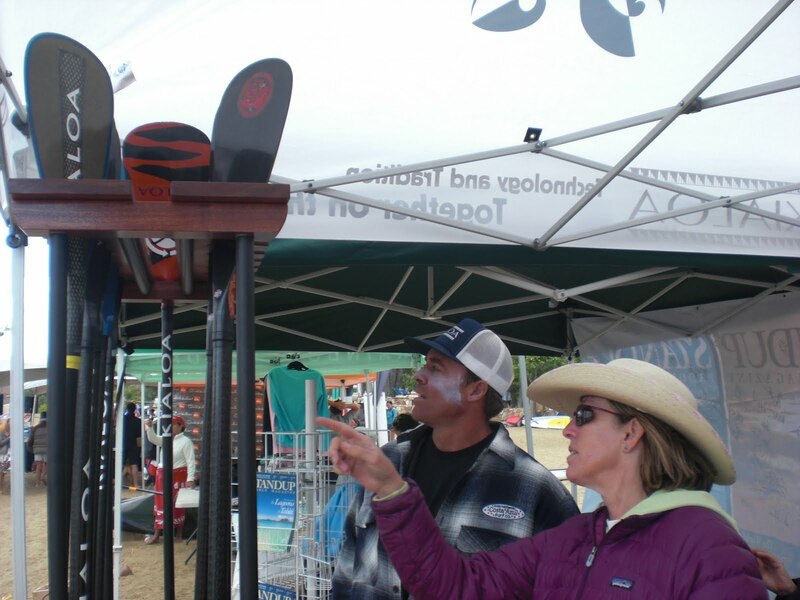 Meg has been coaching novice and experienced outrigger paddlers in Bend for more than two decades. She spices the learning with a cool passion, always a sense of fun and patient expertise. So try that I did – and it ROCKED. The areas of my shoulder and upper arms that usually limited my endurance by pure muscle fatigue were not feeling a thing. It was a core and lats experience. OK, back to SUP. Today on my Naish ONE I used the very technique that I have been practicing at outrigger practice. The gnarly offshore wind and the confused swell did its best to intimidate ad toss me off balance. Never happened. What a fantastic 5 mile “into the wind” paddle to Diamond Head and beyond. What a cool late afternoon surf session at Pops on the Naish ONEs. Olukai Ho’olaule’a, I can hardly wait. Thank you Bend Oregon Outrigger Canoe Club! Thank you, Meg Chun!